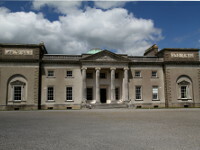 County Laois (Irish: Contae Laoise) is situated in south east part of Midlands and was previously known as Queen's County. The name which is now comes from Loígis, a name of medieval irish kingdom existing into the 16th century, which territory was lying partly within the boundaries of a present County Laois. It is mainly flat, low country where forests alternate with bogs and rich pastures. 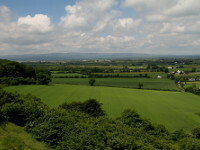 The river Barrow marks almost half of its border, from Slieve Bloom Mountains on the north west, to the border with County Carlow and suburbs of Carlow Town on the south east part of the county. The Slieve Bloom Mountains are great place for cyclists and hill hikers, and offer a wide choice of looped and long distance way-marked walks. 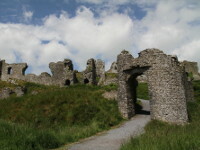 The major historical attractions in County Laois are the Emo Court and Gardens - neo classical mansion, surrounded by beautiful gardens and parkland, the Dunamase Castle ("Rock of Dunamase") - the ruins of the Anglo-Norman defensive stronghold from the 12th century and Timahoe Round Tower. 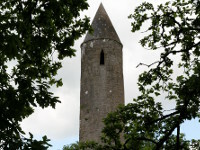 County Laois is missed from the itineraries of many visitors what makes its quiet charm.